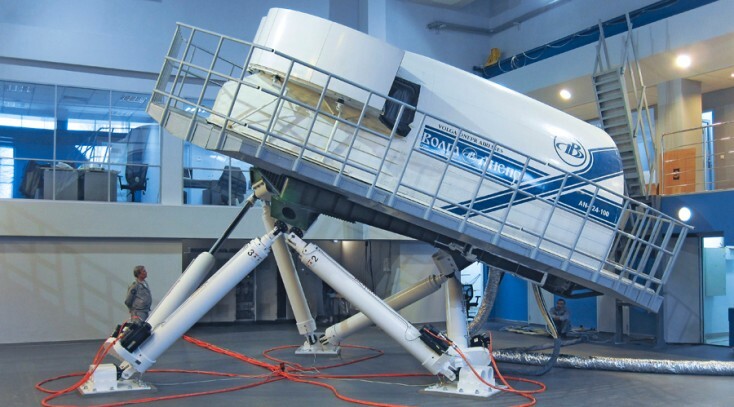 Training in simulators significantly reduces costs, risks and time, compared to training in real planes or vehicles. Whether the training focuses on flying an aircraft, driving a vehicle or evacuating passengers from an airplane cabin, the illusion of reality needs to be created. Deep knowledge of accelerations and speeds is required for a real-life experience in dynamic training systems. With over 20 years of experience, Bosch Rexroth has specialized in both electric and hydraulic motion technology for all types of simulation. The wide range of professional Rexroth Motion Systems truly contributes to the accuracy and effectiveness of the training. To design and package the best in electric and hydraulic drive and control technologies is our passion. Always the best solution in terms of functionality, safety, life time, energy efficiency, maintenance and Total Cost of Ownership.